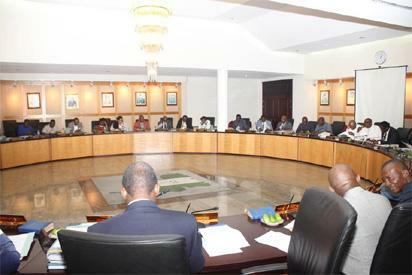 The Rivers State Executive Council has approved the setting aside of N200million monthly as interest free loans to traders and young entrepreneurs. The State Executive Council also approved a direct empowerment scheme for 10,000 women from the 23 Local Government Areas who will be financially supported by the Rivers State Government to improve their respective businesses. The governor directed the State Ministry of Women Affairs to ensure the fair representation of all local government areas. The Rivers State Executive Council at its Wednesday meeting presided over by Governor Nyesom Ezenwo Wike said that the interest free loan will be disbursed monthly to the traders and young entrepreneurs for them to carry out small and medium-sized enterprises. Briefing journalists after the State Executive Council meeting at the Government House Port Harcourt on Wednesday, State Information and Communication Commissioner, Mr Emma Okah said that the Council approved the recruitment of 2000 young men to work with the state government to stop illegal street trading in Port Harcourt and its environs. The council also approved the recruitment of 1000 women for the regular sanitation of Port Harcourt and its environs. The Rivers State Executive Council also approved an extra seven days of grace for all illegal street traders to vacate the roads. The additional week of grace expires on April 18, 2018. The government said it approved the extension following entreaties by traders and other Nigerians. The traders were urged to find alternative trading venues. The Executive Council also approved the elaborate celebration of the third anniversary of the Wike administration. The post Rivers to disburse N200m interest free loans to traders, young entrepreneurs appeared first on Vanguard News.